MANHATTAN (CN) – Researchers published a study Tuesday that emphasizes how suicide rates among U.S. teens have risen in step with the boom of social media. Relying on suicide reports from 2009-15 put out by the federal Centers for Disease Control and Prevention, researchers at the American Foundation for Suicide Prevention compared the numbers against two surveys given to U.S. high school students. About half a million teens ages 13 to 18 who participated in the surveys answered questions about their use of electronic devices, social media, print media, television and time spent with friends. They also were given questions about mood, such as how frequently they feel hopeless and have considered or attempted suicide. Published Tuesday in the journal Clinical Psychological Science, the study links rising social-media use to the increase in suicide rates for teens after nearly two decades of decline. “We need to stop thinking of smartphones as harmless,” study author Jean Twenge told the Associated Press. “There’s a tendency to say, ‘Oh, teens are just communicating with their friends,’” added Twenge, a psychology professor at San Diego State University who studies generational trends. Twenge called it important to monitor and to set limits on how children and teens use smartphones and social media. 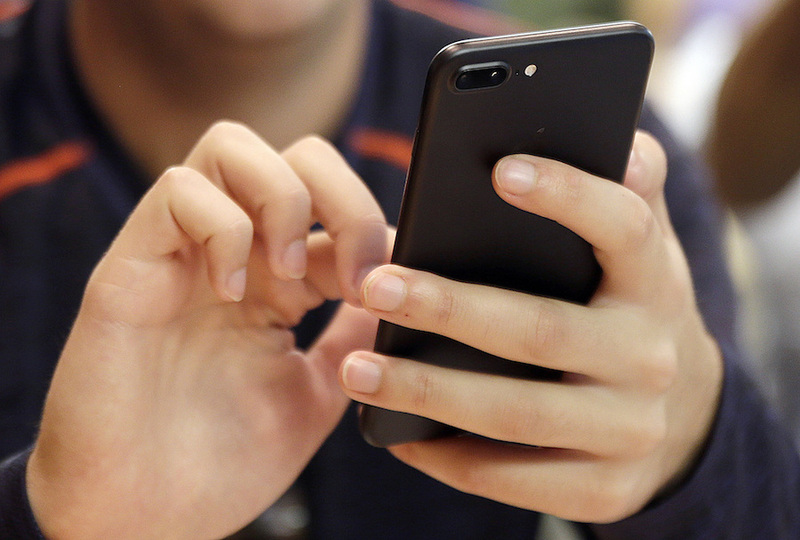 Victor Strasburger, who specializes in teen medicine at the University of New Mexico, told the AP that the study’s implication of a connection between teen suicides, depression and social media shows the need for more research. Strasburger tied the risk of social media to its immediacy, anonymity and potential for bullying. After several teen suicides rocked the community of Littleton, Colorado, Caitlin Hearty helped organize an campaign last month in which hundreds of teens agreed to go offline, forsaking internet and social media for one month. “After hours of scrolling through Instagram feeds, I just feel worse about myself because I feel left out,” 17-year-old Hearty told the Associated Press. One finding of the study published Tuesday was that 58 percent of 12th grade girls like Hearty used social media every day or nearly every day in 2009. By 2015, the number was up to 87 percent. Researchers found that these teens were 14 percent more likely to be depressed than those who used social media less frequently. Tuesday’s study also reported that from 2009 to 2015 roughly double the number of teens reported using smartphones and other electronic devices for at least five hours. The number was 8 percent in 2009 and 19 percent in 2015. Suicidal thoughts or actions were 70 percent more common among these teens than among those who reported one hour of daily use. In 2015, 36 percent of all teens reported feeling desperately sad or hopeless, or that they had thought about, planned or attempted suicide. This number was 32 percent in 2009. Rates were higher among girls: 45 percent in 2015 versus 40 percent in 2009. “No one posts the bad things they’re going through,” 17-year-old Chloe Schilling, who helped with the offline campaign in Littleton, told the AP. Circumstances surrounding individual suicides were not examined in the Tuesday report.